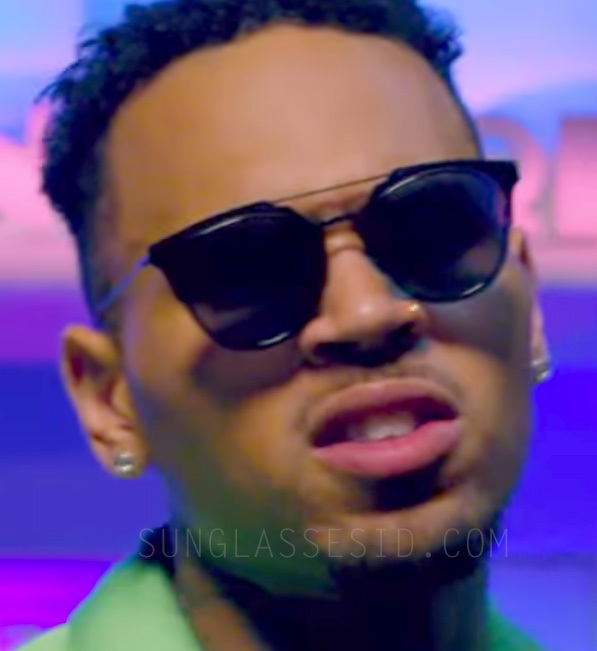 Chris Brown wears Dior Homme Composit 1.0 sunglasses in the music video Fun. Chris Brown wears Dior Homme Composit 1.0 sunglasses in the music video Fun (Pitbull). This is probably one of Chris Brown's personal pairs, because he can sometimes be spotted with the same pair of Diors on events. Find these glasses on Amazon or eBay. Chris Brown wears another pair of Dior sunglasses in the same music video, Dior Technologic, and he also wears Dior sunglasses, the So Real model, in the video Five More Hours.